The 225 hp large displacement 3.5 liter V6, our second highest horsepower four stroke, comes equipped with the Variable Valve Timing and Lift Control system. This provides power where and when you need it, giving you a broader, flatter torque curve and smooth power delivery throughout the engine's operating range. The result is a superior combination of power, torque and fuel efficiency. Also equipped with Multi-port Programmed Fuel Injection which delivers the precise amount of fuel/air to each cylinder. The heavy duty 5" diameter gear case was built to withstand extreme conditions, giving you the peace of mind on the water every boater is looking for. 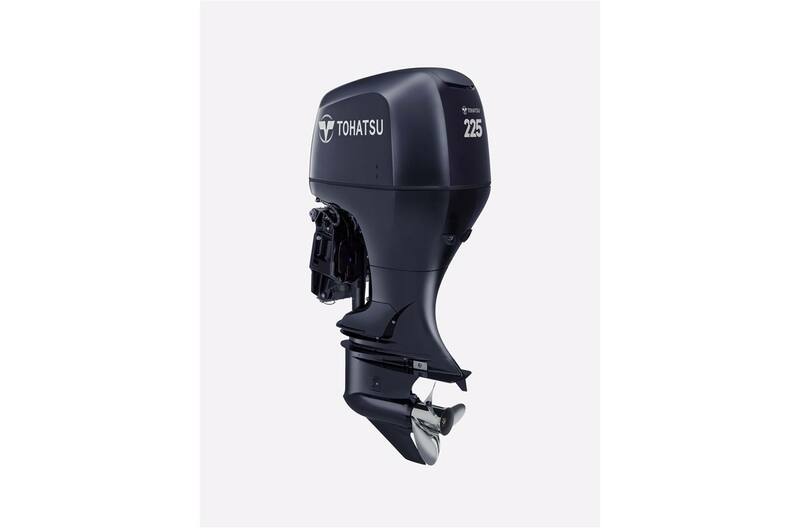 Equipped with non-linear rubber mounts which provide less vibration at all engine speeds, the BFT 225 hp four stroke outboard has the power, has the reliability and even has the comfort, making it the perfect 225hp outboard for you to own. BLAST® System - improves acceleration at low speeds: Boosted Low Speed Torque, or BLAST, improves acceleration at low speeds. A quick movement of the throttle control activates the BLAST®system, advancing the ignition curve quickly. This will greatly improve "Hole Shot". *BLAST® is a registered trademark of Honda Motor Co., Ltd.
ECOmo® - Superior fuel efficiency: ECOmo® increases fuel efficiency by allowing combustion to operate on a leaner air/fuel mixture. At cruising speed, this engine runs on up to 30% less fuel** than others in its class. *ECOmo® is a registered trademark of Honda Motor Co., Ltd. **Based on EPA Specific Fuel Consumption Mode. Multi-port Programmed Fuel Injection [PGM-FI]® - Powerful Performance: Programmed Fuel Injection delivers the precise amount of fuel/air response with superior fuel efficiency. *PGM-FI® is a registered trademark of Honda Motor Co., Ltd.